I really should learn to listen to my intuition or inner “knowings” more often and act on them. Yesterday, around midday, I drove third son and his girlfriend to the cinema at the local Westfield shopping centre then came home — the intention being to go and pick them up again later that afternoon, around 4 to 4:30pm (public transport between our home and Westfield is rather slow so I didn’t mind driving them). While driving them to Westfield I had this niggling feeling that second son would go there after work and be able to drive them home. This was in spite of the fact he’d told me in the morning that he planned to drive straight home from work that day and had no intention of going anywhere else. Later in the day this feeling of “knowing” that second son would be at the same shopping complex was very strong — especially around 4:00pm — and I seriously considered phoning him to find out. But, I second guessed myself, thinking he wasn’t really there and would be driving in heavy traffic at that time so a phone call could be inconvenient and possibly dangerous — he’d have to find somewhere to safely pull over to answer his phone, or he might even risk answering while driving — he’s only had his license for just on 5 weeks. The feeling got stronger, but still I resisted the urge to make the phone call and instead got into my car at 4:10pm, after third son called to say they were ready to be driven home, and ventured out into the beginnings of the peak hour traffic, collected the “kids” at about 4:25pm and was home again 35 minutes later — the traffic was substantially heavier on the return journey. This entry was posted in Uncategorized and tagged intuition, missed opportunity, psychic ability, synchronicity. 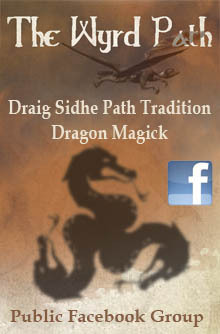 The Draig Sidhe Path is an evolving mystery tradition practicing a unique form of dragon magick. 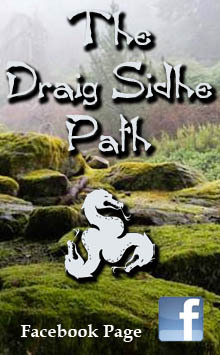 The Draig Sidhe Path was founded by Parker J. Torrence, author of "Sea, Land, Sky: A Dragon Magick Grimoire". 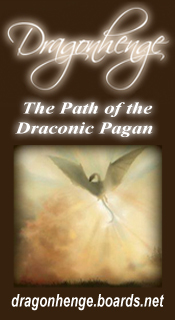 Dragonhenge is an online community for those interested in learning more about Dragon Magick or connecting with others who follow the path of the Draconic Pagan. 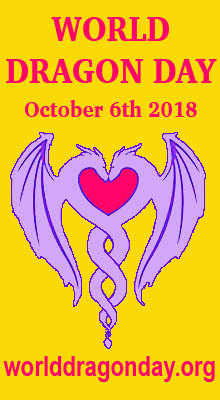 The first World Dragon Day was held in October 2014. People around the world came together to celebrate the wonderful Dragons! 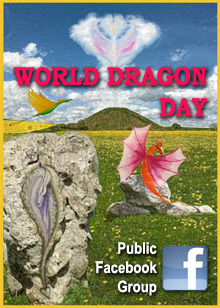 Now we're looking forward to World Dragon Day 2017 - and you can get involved! 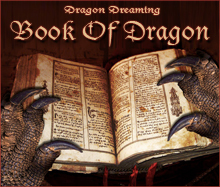 Find out about the events and connect with other people who love Dragons.